Last week a Naples court sentenced Italy’s former Prime Minister Silvio Berlusconi to three years in prison for corrupting the political process by bribing a politician for his vote. Valter Lavitola, his “fixer” in this act, was also convicted. Neither will serve time. This was only the first court decision and both men have the right to two appeals. By the time these are exhausted the clock will have run down on the statute of limitation for corruption crimes in Italy and the case will be dismissed. There are two messages to learn from this shocking situation: the integrity of Italy’s politicians is routinely up for sale and the Italian legal system is unfit to sanction, and therefore deter, this corruption. Horse-trading in politics is nothing new, with politicians changing camps relatively common. But Berlusconi’s blatant buying of Senator Sergio De Gregorio for US$3.3 million from 2006 to 2008 shows how the nexus of money and politics both undermined stability in Italy and exposed the rot at the heart of Italian politics. 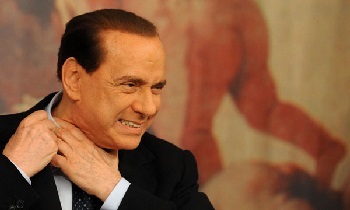 Berlusconi’s actions, which he denies, destabilised the government of his opponent, Romano Prodi, which fell in 2008. De Gregorio’s testimony, as part of a plea bargain, hinted that the votes of many of his Senate colleagues were also negotiable. Such an important corruption case should never have been subject to the statute of limitation. This is a clear example of where Italy’s laws governing corruption are simply not fit for purpose: it was clear from the start that the case would not be completed in time and that if a guilty verdict was reached, the perpetrators would get off. This situation is as damaging as the crimes themselves because it sends a message of impunity to the political classes. No wonder citizens have no trust in the Italian legal system. Almost half of Italian citizens surveyed in the 2013 Global Corruption Barometer thought the judiciary was the most corrupt institution. One in 10 said political parties were most corrupt. That’s no surprise when you see a former prime minister sentenced for bribing a senator and no one is punished. No wonder the turnout in Italian elections is below 50 per cent. You would think that a guilty verdict for corruption by a former prime minister would be headline news. Unfortunately, the press pretty much buried the story. One popular online newspaper put it in the section on local news. Corruption is not news in Italy and political corruption is so common it is hardly worth a mention. This should not be the case. Italy needs to treat grand corruption like this for what it is – the subverting of the political system – by sending a strong message to its political elite: you will not get away with it. To do this it first it needs to remove the statute of limitation for political corruption and then it can put the guilty behind bars.